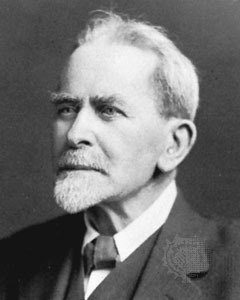 Sir James George Frazer OM FRS FRSE FBA (1 Januar 1854 – 7 Mey 1941), wis a Scots social anthropologist influential in the early stages o the modren studies o meethology an comparative releegion. ↑ 1.0 1.1 Fleure, H. J. (1941). "James George Frazer. 1854-1941". Obituary Notices of Fellows of the Royal Society. 3 (10): 896–826. doi:10.1098/rsbm.1941.0041. ↑ Mary Beard, "Frazer, Leach, and Virgil: The Popularity (and Unpopularity) of the Golden Bough," Comparative Studies in Society and History, 34.2 (April 1992:203–224). This page wis last eeditit on 24 Juin 2017, at 17:17.